Real Madrid have agreed a move for Matteo Kovacic to join Chelsea on loan, according to reports. 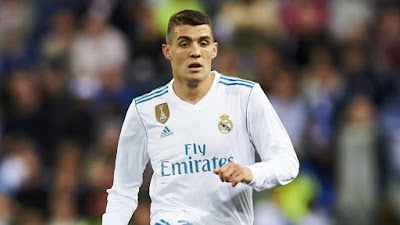 Chelsea are fast on Transfer plans with less than 30 hours left for the summer transfer market and want Real Madrid's Kovacic to be their third signing this summer. Chelsea appointed Maurizio Sarri as manager three weeks ago and the Italian have signed Jorginho and Rob Green. Since, Chelsea have agreed a deal for Atletico Bilbao Goalkeeper Kepa according to reports, whose transfer is expected to see Thibaut Courtois going to Santiago Bernabeu. According to the Spanish Newspaper El Pais, Los Blancos have decided to let Kovacic move to west London. However, they want to use this tactic to make the former inter Milan player stay. Real have endured a strong season following the departure of Cristiano Ronaldo To Juventus in July. El Pais claim Madrid's hierarchy asked for a help from World Cup runner-up Luka Modric. Modric is close to his compatriot. It was he who, back in 2015, urged Florentino Perez to sign Kovacic from Inter. Perez reportedly enlisted the aid of the 23-year-old in a bid to get Kovacic to change his mind on a Bernabeu exit. 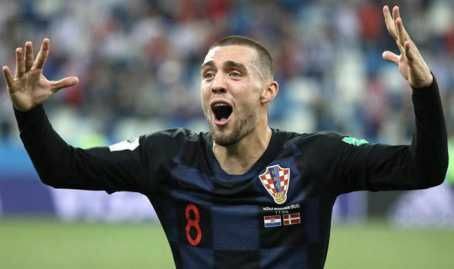 Kovacic is reportedly ‘overwhelmed’ by the challenges he face to get into Julen Lopetegui’s side. And, with Kovacic getting lack of playing time in the just finished World Cup due to no starting place for him and also in Real Madrid, will want to move to the Premier League for new challenges.